Coming from a country where we have no grand castles and royalties, it was a great opportunity for me to see the beautiful castles in Europe. Whenever I travel to somewhere in Europe, I always check if there's a castle nearby to visit. Below are the 5 most beautiful castles I've been. 5) Trollenäs Castle in Eslöv, Sweden. Trollenäs Castle is known since the 14th century and has been owned by only two families, Thott and Trolle. It was originally called as Näs castle and was then changed to Trollenäs castle in the 18th century. It was renovated by architect Ferdinand Meldahl in the 19th century to resemble a French renaissance castle. This beautiful castle has a big garden and a chapel. 4) Hohenwerfen Castle in Werfen, Austria. Built as a fortress during the 11th century by Archbishop Gebhard of Salzburg to protect the Salzburg Archbishopric against the forces of King Henry IV. Hohenwerfen was used as a castle 'Schloss Adler' in the 1968 film ''Where Eagles Dare'' and part of the castle were used in the mini-series ''The 10th Kingdom'' and the movie ''Just Married''. 3) Neuschwanstein Castle in Bavaria, Germany. A 19th century Romanesque Revival Palace built by Ludwig II of Bavaria dubbed also as ''the Fairytale King''. Neuschwanstein Castle also inspired Disneyland's Sleeping Beauty Castle. 2) El Castell de Guadalest in Marina Baixa, Spain. Eventhough the castle is now in ruins, El Castell de Guadalest is one of the most beautiful attractions I have ever seen. 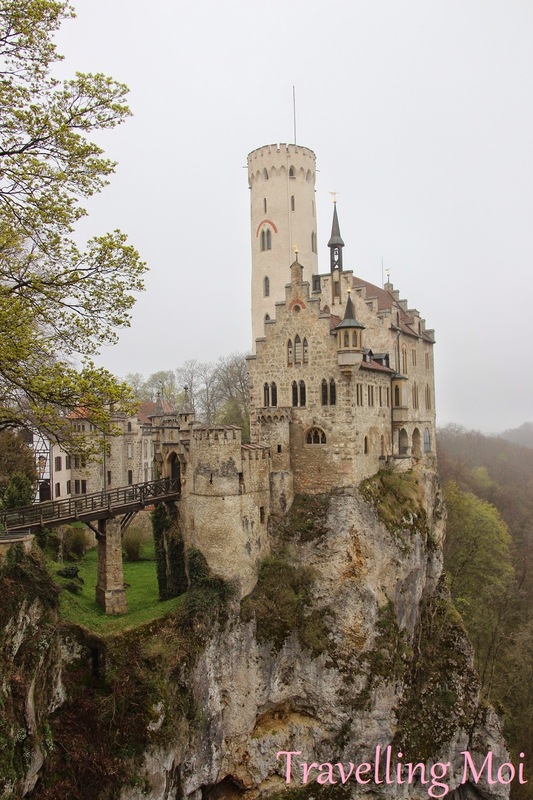 1) Lichtenstein Castle in Lichtenstein, Germany. Built in 1802 by King Fredirick I of Württemberg , the castle was used a hunting lodge located on a cliff in the Swabian Alb, Baden-Württemberg (Germany). The castle now, which has large collections of historic weapons and armors, is owned by the Dukes of Urach.